KRD operation and maintenance roads (O&M) are restricted use roads. No general public access is authorized. The KRD does permit use of certain O&M roads for specific reasons. Landowners who have agricultural access needs may be authorized use of O&M roads adjacent to their property. Law enforcement and Game Department personnel are authorized access on an as needed basis. Utility Company staff inspecting or working on their facilities are also permitted access with notification. 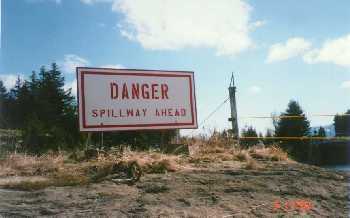 There is no authorized use of O&M roads for recreation by adjacent landowners or the general public. No permission has been given to adjacent landowners or the general public to walk, ride bikes, horseback ride, rock hunt, ride snowmobiles or ORVs, hunt, or gain access to private property using KRD O&M roads. 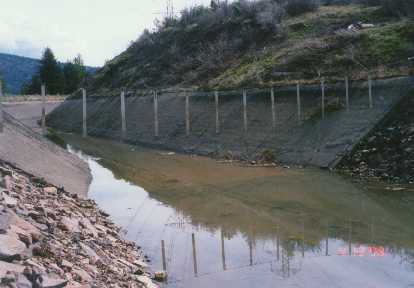 Kittitas Reclamation District is concerned when both people and animals enter our concrete lined canals and become confused or injured. KRD uses many types of protection devices to address these concerns. 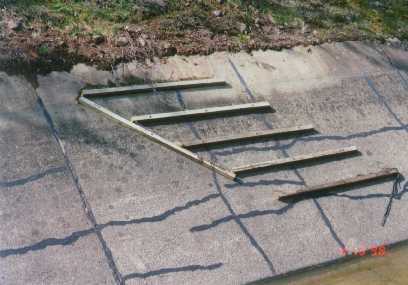 Escape ramps are being constructed at the inlets of syphons where sub-divisions are being developed close to the canals and where high incidents of game activity are known. 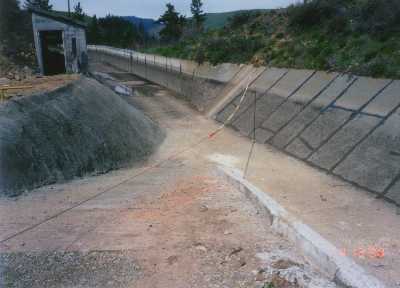 Escape "cleats" have been installed in all of the concrete lined sections where both inlet and outlet structures prevent animals from walking out on their own. Handrails are installed at regular intervals on all concrete liners to assist people out of the liner. 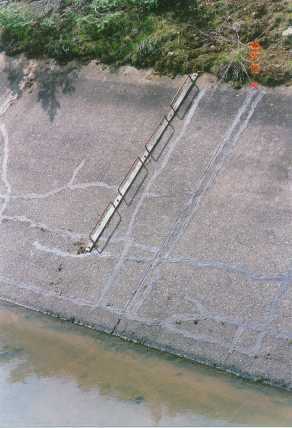 "Flashers" have been installed to warn animals away from inlets to concrete lined sections. 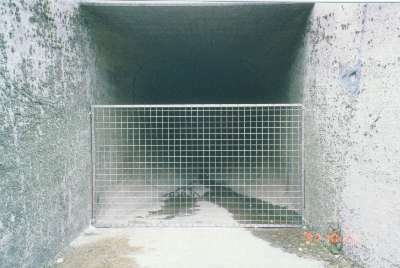 Barricades are being installed at inlets and outlets of syphons and tunnels to prevent people and animals from entering when we are de-watered. 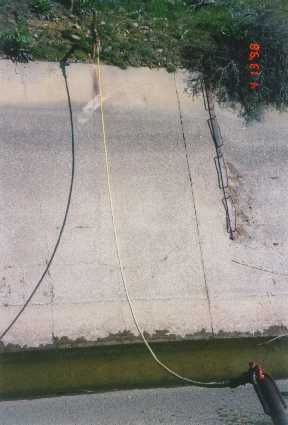 Safety ropes are installed at inlets to all syphons. Fences, guard rails and gates are installed at critical locations through out the entire distribution system. Our facilities have warning signs for your safety. In is important to remember that ALL KRD CANALS, ROADS AND FACILITIES ARE RESTRICTED AREAS THAT ARE NOT OPEN FOR PUBLIC ACCESS. 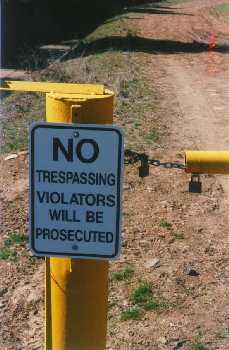 ANY USE OF KRD FACILITIES WITHOUT PRIOR AUTHORIZATION IS TRESPASSING. We need your help! Please call us if you have any concerns about public or animal safety. Please call us AND the Sheriffs Office (962-7525) if you see anyone trespassing, dumping trash or vandalizing KRD facilities. Crime! If you see, it report it! 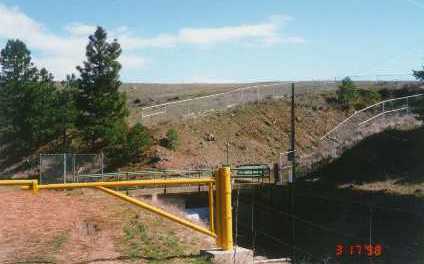 Damaging Bureau of Reclamation property is a crime. Reclamation and the Bonneville Power Administration are in partnership against crime. The dams, powerhouses, and transmission lines owned by these two agencies constitute major parts of the Federal Columbia River Power System. The Pacific Northwest Federal Crime Witness Program features a toll-free hotline which allows you to report, confidentially, any illegal activity that you witness against Reclamation or BPA property or personnel. The Crime Witness Program is designed to heighten public awareness of the serious impacts of crime within or around power production facilities, electrical substations, and transmission lines. Reclamation and BPA operate a 24-hour toll-free hotline to gather information about a crime or a crime in progress. This toll-free number is linked directly to BPA headquarters in Portland, Oregon.